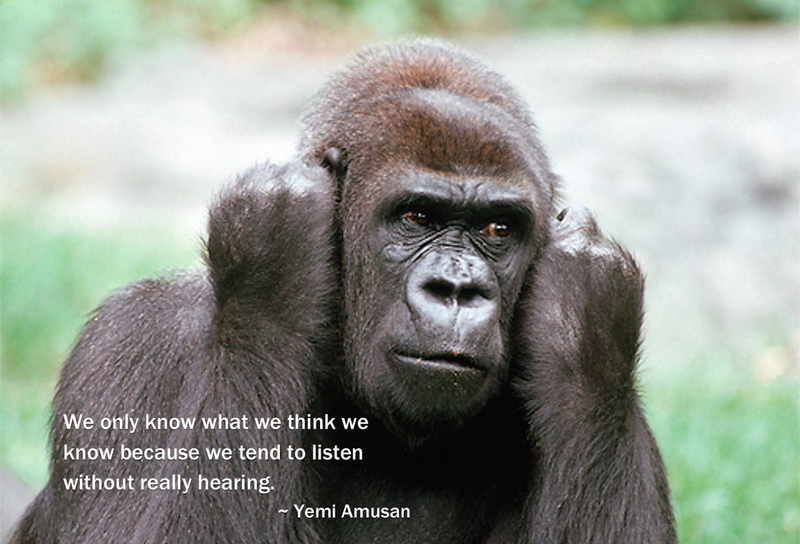 We only know what we think we know because we tend to listen without really hearing. In this we are, for the most part, selective… subconsciously blotting out the things that discomfort. To gain knowledge one must not just listen but hear... things that sound incredible and things one does not wish to believe. Truth is not always the pleasure of ones own choosing just as light does not at first seem more comfortable than darkness.